The history of music offers many instances where such extra-musical concerns have resulted in bombast, empty rhetoric and noisy banality. 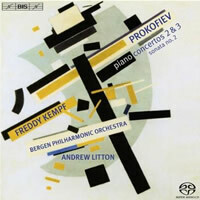 But with his Fifth, Prokofiev achieved something that he had long been aiming for: a big work of wide appeal that at the same time fulfilled the most demanding expectations of form and structure. The immediate success in Russia was soon followed by performances abroad, and as a result Prokofiev joined the ranks of the great symphonists of the 20th century, after having been previously known mainly for his music for the piano and for the stage. The closing work on this disc – the Scythian Suite – may to some extent be regarded as belonging to the latter category. It originated in 1915 as Ala and Lolli, a ballet score for Diaghilev’s Ballets Russes based on a synopsis set among the Scythians, an ancient people of the steppes of Southern Russia. 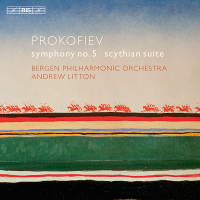 At the time Prokofiev composed the score, very little was actually known about this people, and in pre-revolutionary Russia ‘Scythian’ had become a byword for primitive savagery. Prokofiev’s music, with its wild dissonances and delight in sheer noise, amply fulfilled any matching expectations, but when Diaghilev heard it in a piano version he was less than enthusiastic, and the plans for a ballet were cancelled. Prokofiev was never prepared to waste good music, however, and out of the ballet score he extracted the colourful four-movement Scythian Suite for concert performance. A very welcome disc for both performances. 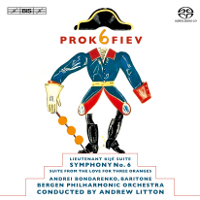 For Prokofiev&apos;s apparently most loved symphony (after the "Classical") in the public&apos;s mind, this has been disappointingly served on hi-res media. From Jurowski&apos;s uncharacteristically uninspiring account (Prokofiev: Symphony No. 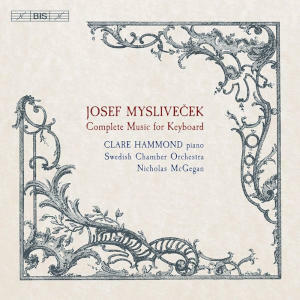 5, Ode to the End of the War - Jurowski) to Alsop&apos;s rather rough-around-the-edges take (Prokofiev: Symphony No. 5 & The Year 1941 - Alsop), the leader of the pack to date has been Gergiev (Prokofiev: Piano Concerto No. 3, Symphony No. 5 - Matsuev, Gergiev) but many will harbour reservations because of the rather poor coupling. Litton&apos;s account is even better, to these ears, than Gergiev&apos;s. The playing of the Bergen Philharmonic is exemplary: there are moments of slight tuning imperfections when (played back-to-back) one realises that Gergiev&apos;s accounts were likely set down in one take. 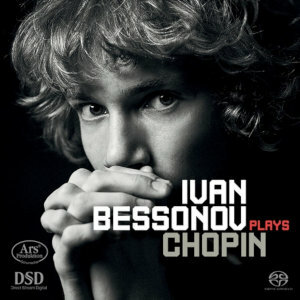 In terms of pacing, Litton is more expansive than Gergiev in the first movement and this is rewarded in the climaxes where the billowing bass drum expands textures in a threatening manner, unlike some more "surface polish" accounts (for instance, the Karajan account that hitherto, this listener much admired). 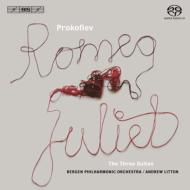 This performance treads the line between beauty and structural integrity with great aplomb, in a similar manner to this partnership&apos;s great account of excerpts from Romeo & Juliet (Prokofiev: Romeo & Juliet Suites - Litton). The second movement is wonderful in capturing both the sinister motoric energy of the Scherzo and the delightful reworking of music originally planned for Romeo & Juliet in the central section. In the astonishing accelerando back into the motoric music, Litton is certainly less gradual than Karajan conspired to achieve but the more abrupt transition is exciting in its own way. In terms of tempo, there is virtually no difference whatsoever between Litton and Gergiev. The (second) great slow movement of this symphony is, like Gergiev, treated expansively but is fractionally more flowing in Litton&apos;s hands. Apart from being slightly easier on the players of the Bergen Philharmonic, who rightfully respond as if this is one of the most beautiful works in the repertoire, this slightly quicker pulse gives Litton & his players more room for indulging in (tastefully) expressive rubato. No matter how well one knows this score, the central climax is staggering in these hands; perhaps even more is how well they convey Prokofiev&apos;s lengthy ethereal coda of this moment so quickly with such tenderly beautiful playing. The finale, after gorgeous playing from the Bergen cellos, is taken a mite slower than others have in the past. This is very much a case of "less is more" for the slightly more relaxed tempo allows Litton & his orchestra to revel in many types of humour (from the outwardly cheerful to some bitingly ironic moments) in the Allegro giocoso. 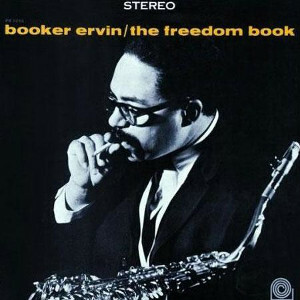 For all the apparent surface freedom, there is a sense of tremendous control being exhibited by the accompanying colleagues; the successful reconciliation of apparently contradictory styles makes for fascinating and endlessly rewarding listening. Some performances of the coda are almost apologetic in tone (because of the fiendish difficulties, there is a tendency for many to play the closing pages "too" safely) - not here. Instead this account goes out in a (convincing) blaze of biting orchestral glory. The Scythian Suite is no less successful and is a very fitting companion piece. Having been raised on Abbado&apos;s superb account from Chicago, this is a worthy successor in the recorded pantheon. Litton and his players are happily gifted a far superior recording than DG could afford to Abbado which is all to our favour. The sheer detail from the score captured by the Bergen Philharmonic under Litton, is simply not audible in such a natural manner on many musically fantastic accounts from the past. Even though this is somewhat unrelenting in energy (& volume! ), the third movement "Night" aside, the wealth of detail heard even in some of the most complex moments. Night comes as welcome respite after the extraordinary response to Prokofiev&apos;s aural onslaught in the first two movements. although even this music doesn&apos;t escape the "primitive savagery" evoked by this marvellously "violent" score. As it stands, there is (somewhat unusually for such a "hi-fi spectacular") no other hi-res account of this music; this is not a problem! Key to the enjoyment of both performances is the engineering team from BIS; this must count as their most successful trip to Bergen yet. 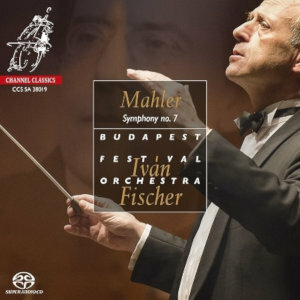 From the tumult present in most of the Scythian Suite, to some of the tenderest moments of reflection in the symphony, the detail and clarity of the recording is a thing of beauty in and of itself. One really couldn&apos;t hope to hear any more notes, in a more natural soundscape, than if one were present in the hall: thank you, all. To top it off, there are fine notes on both works from Andrew Huth. 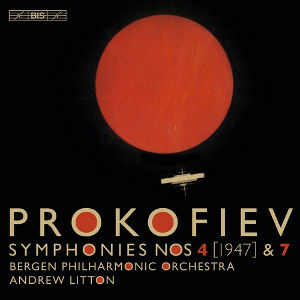 This should be in the collection of everyone who likes Prokofiev, fine orchestral playing or simply great recorded sound. This is a Prokofiev 5th with the rough edges smoothed away. It almost sounds like Rachmaninov and somehow I don’t think that’s what Prokofiev intended. Nor is it how I prefer to hear this work although I’m glad to have this terrifically recorded version in my collection. Maestro Litton manages to wring every ounce of beauty out of the score (and there is a lot of beautiful writing here) and the Bergen orchestra responds by producing lush string sonorities and mellifluous wind and brass playing. This is evident right from the beginning of the first movement (andante) where the themes are spun out lovingly. The build up to the ending of the movement is hair raising in just how much volume is achieved by the orchestra. The second movement allegro marcato is, again, quite beautiful but lacking a degree of spit and fire that others have. The accelerando in the second half of the movement is handled excellently with the Bergen players responding as one to Litton’s direction. The adagio third movement is effective in conveying an undercurrent of menace though, again, the menace is all so beautiful here. The introduction to the final movement sets up another lovely melody only to be dispensed with when the giocoso material is launched about 1 minute in. Litton takes this music at a fair clip but that in no way hinders the magnificent playing of the Bergen orchestra. The coda wraps things up splendidly. I keep coming back to the word “beautiful” to describe this performance and it truly is the case here. I have to wonder – have orchestras become so good that the element of struggle in the music is so completely absent? A little “struggle” would have lifted this performance for me into the top echelon. As it is, it is merely very good. The Scythian Suite was composed nearly 30 years before the symphony. The music is more chromatic and daring than the symphony and for this very reason I find Litton’s approach to be quite illuminating – he continues to find beauty here which eludes others. I have not been a big fan of the suite in the past but this performance has changed my mind about it. I said it above and I need to say it again – what a terrific orchestra this is! The recording is among BIS’s finest orchestral efforts! Sound engineer Jens Braun has captured every nuance and all the dynamics of the Bergen Orchestra in a perfect balance of direct and ambient stereo sound. It comes from a 24 bit, 96 kHz pcm master. Looking forward to more in this series. Recommended.